In the loveless household of General Sir Frederick and Lady Emily Osmund and their empty-headed twin daughters, begrudgingly adopted niece Azalea is little more than a wallflower. And all because her kind, heroic and beloved father died in a manner they wrongly consider scandalous and because her mother was Russian! You must pay the price of your father’s sins and what happened in India you will take to your grave with sealed lips’, her uncle says, as if to seal her fate. When the General is posted to Hong Kong, Azalea is thrilled but there, as always, she is cast aside and abused. 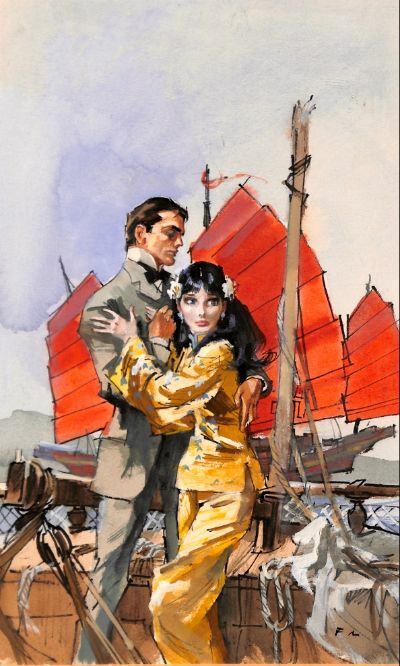 Only the handsome, dashing but imperious Lord Sheldon shows any interest in her until to her aunt and uncle’s disgust she’s befriended by a kind Chinese family. But her joy at learning of their culture and customs is short-lived. Kidnapped by pirates, she faces death and worse. Is there any hope now that she’ll find true love and a life of her own?